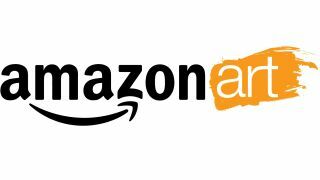 Amazon has launched a new marketplace, Amazon Art, which offers customers a bunch of artwork from galleries and dealers to drool over/purchase. This is all despite the fact that the company had a go at a similar venture back in 2000, which ended up proving less than successful - in fact, the pilot survived a mere 16 months. But Amazon is obviously determined to prove that the internet is the right place for art buyers and appreciators to go to, without having to fake all that chin-stroking and "hmmm"-ing that comes with visiting a real gallery. Over 40,000 pieces will be available from more than 4,500 artists which makes it one of the largest collections available on the internet, according to the mammoth online retailer. Users will be given the "gallery experience" but you'll be able to filter your search by price, size, subject, colour and style to make it all nice and easy. Amazon will also be packing out each piece with information on its background, its artists and other factual titbits.